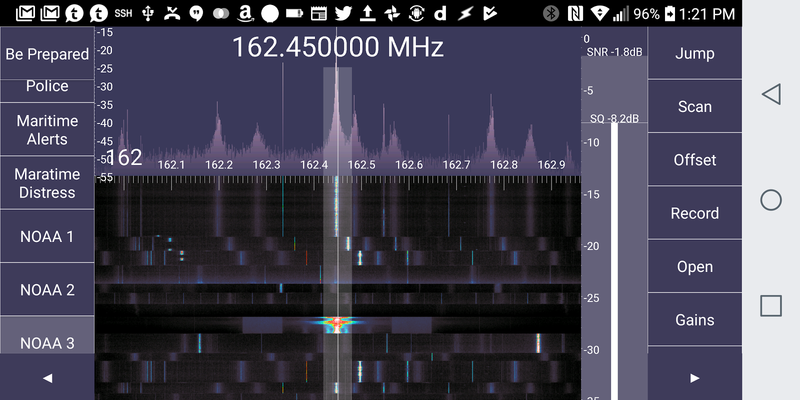 One of my hurdles to playing with Software Defined Radio is that experimenting with a fresh list of potential radio frequencies is a cumbersome process. SDR Touch, my radio app of choice, has the ability setup presets, which makes jumping around to frequencies easy. But getting the initial list in there is a pain. I noticed that SDR Touch offers the ability to import and export presets, which I figured would vastly simplify this problem. The first solution I tried was to create some presets, export them and try changing the XML file by hand. Unfortunately, the XML format was just a bit too low level to comfortably manage this way. On to Plan B, which was to create a simplified format and convert it to XML using some code. 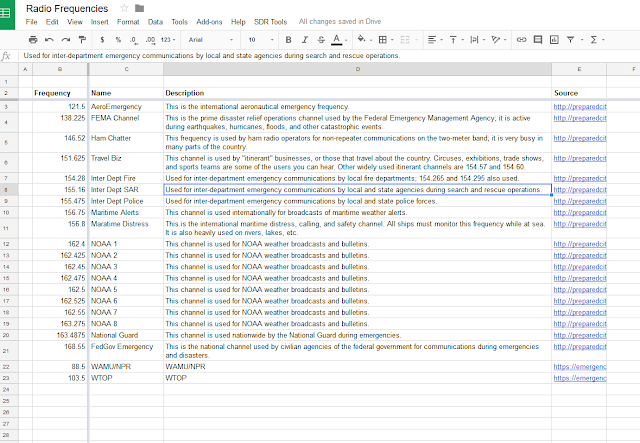 While the Unix Geek in me wanted this 'simple format' to be text based, I figured this was a good opportunity for me to play around with AppScript, Google's solution for extending Docs, Sheets, etc. 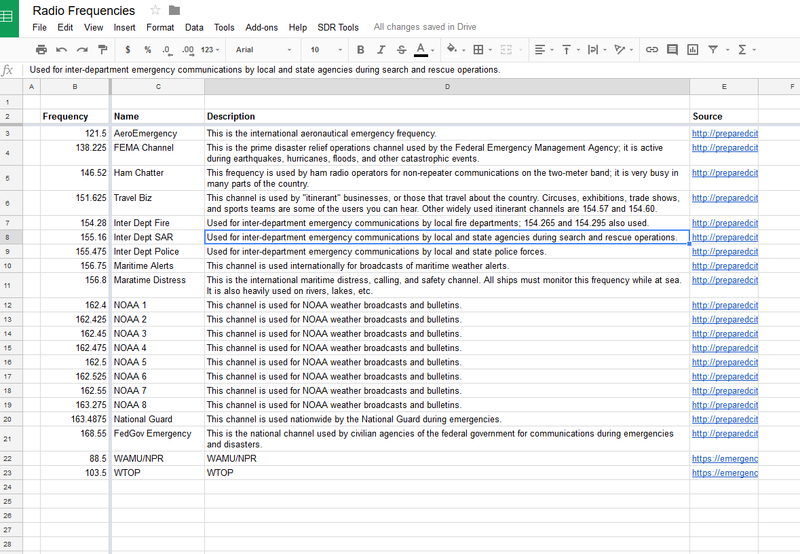 My plan was to manage the frequencies in a Google Spreadsheet and then write some AppScript to generate the ugly XML. After about 15 minutes of playing with AppScript, I had a crude version of this solution implemented. Here's the spreadsheet and here's a few screenshots showing my code in action. 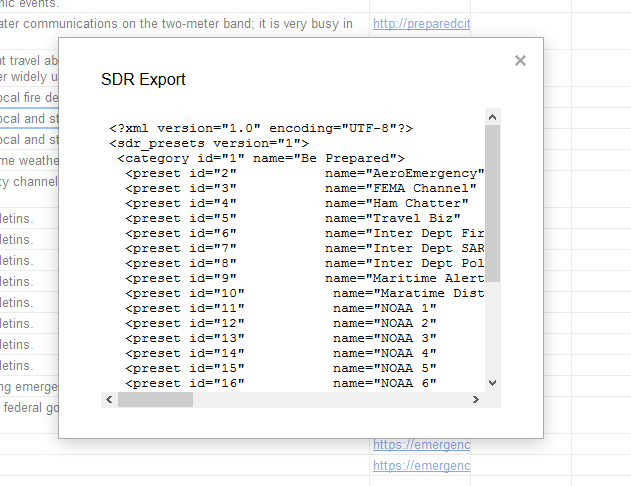 If you were paying close attention, you may have noticed in the screenshot above that there's a new top level menu: SDR Tools. Clicking on it, shows the entry point to the Export code I wrote. Pretty sweet, right? While this worked, the solution still has a ways to go. Right now, only the currently selected sheet in the spreadsheet is included in the export file. I need to change it so that all sheets are processed and stored in the XML. Also, I should really be storing the XML in Google Drive, and not depending on Copy and Paste. But still, this is a good start and really opens my eyes up to a whole new world of possibilities in Google Sheets and Docs. Feel free to grab it and improve it. Ben get your Ham license. I used this https://www.hamradiolicenseexam.com/ . My call sign is NY5N, so you know I am serious.